The Amsterdam Blog is our ongoing journal about Amsterdam. It lets you know about new web pages on Amsterdam-Advisor.com, telling you about new places we discovered, our latest Amsterdam travel tips, etcetera. You can also get the headlines from this blog delivered to your RSS reader or browser if you subscribe to our RSS feed. RSS may sound techie, but its a simple way for you to get news updates without you having to give out your email address. Simply subscribe by clicking the orange RSS box below the site menu, or click here to get the URL. Continue reading "Paintings by Vincent van Gogh - Some of the Most Famous Listed"
Continue reading "The Van Gogh Museum (Amsterdam): Visit the Most Popular Amsterdam Museum"
Continue reading "Amsterdam Centraal Station - Practical Info on the Main Amsterdam Train Station"
Want to get a sneak peek at Amsterdam before you visit? These Amsterdam videos round up some of the city's major attractions, from the leading museums to the Red Light District. Continue reading "Amsterdam Videos - Get an Advance Peek Through These Movie Clips of Amsterdam"
Looking for a cheap Amsterdam break but don't know where to start? Read on to find the cheapest places to stay, to eat and to hang out in the Venice of the North. Continue reading "Cheap Amsterdam Break - Tips for Cheap Weekend Breaks to Amsterdam"
Would you like to meet your Amsterdam boy? This page has the details about where to find boys in Amsterdam - equally for straight ladies and gay men. Continue reading "Amsterdam Boy - Meeting Boys in Amsterdam"
For every gay hotel Amsterdam has to offer, there's one seedy hostel to avoid. Here's a list of the best exclusively gay hotels, plus a list of other hotels that are considered gay friendly. Continue reading "Gay Hotel Amsterdam - Where to Find Gay-Friendly Accomodation in Amsterdam?" The effects of smoking weed aren't always nice. Here's a story from a long-time which probably tells you more than a dozen scientific reports. Continue reading "The Effects Of Smoking Weed"
Trying to find where to stay in Amsterdam can be like trying to find a needle in a haystack. This page lists some of your options regarding hotels, apartments, hostels and houseboats. Continue reading "Where to stay in Amsterdam - Hotels, Apartments, Hostels or Houseboats?" Continue reading "Amsterdam Travel Guide - Things to Know for Travel to Amsterdam"
What are the top things to do in Amsterdam for visitors? Here's our top seven of attractions in Amsterdam. Exploring the beautiful old city centre and taking a canal cruise top the list. Continue reading "Things To Do In Amsterdam: Our Top 7 Attractions in Amsterdam"
Continue reading "Amsterdam Movies, Cinemas and Film Festivals - An Overview"
What are the real Amsterdam highlights? Here's a list of things to do in Amsterdam when you're a first-time visitor: brown cafes, the canals, visiting the Jordaan area, joining Queen's Day and more. 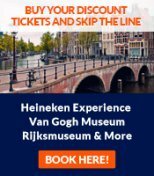 Continue reading "Amsterdam Highlights - Things to Do in Amsterdam"
Continue reading "Amsterdam City Guide - Concise Amsterdam Tourist Information"
Best tips to get around efficiently at Amsterdam Airport Schiphol. Includes information about Amsterdam airport transfers from Amsterdam International Airport to the Amsterdam city center. Continue reading "Amsterdam Airport - Guide To Schiphol Airport In Amsterdam"